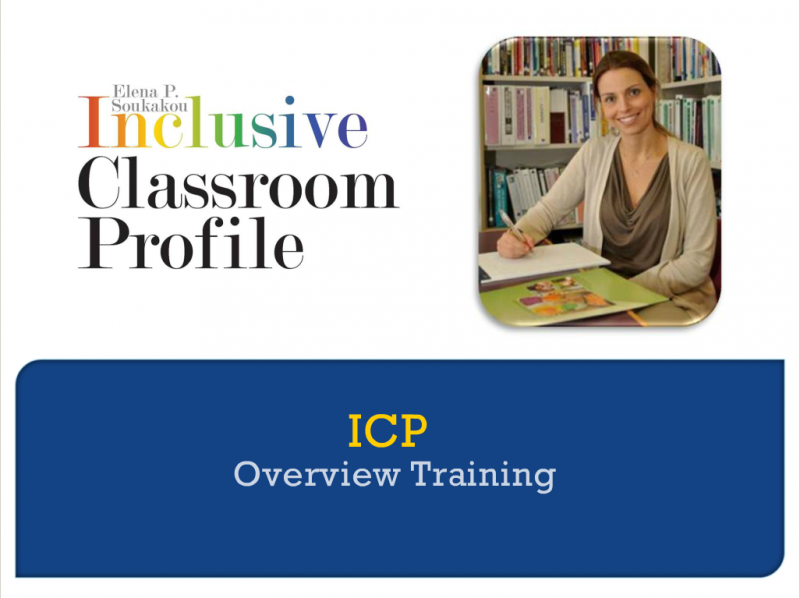 Welcome to the Inclusive Classroom Profile (ICP™) Overview Training website. This training is series of online modules that provide an overview of the ICP. The ICP is a classroom observation measure for assessing the quality of inclusive classroom practices that support the developmental needs of children with disabilities, 2 ½ -5 years of age, in early childhood settings. The modules are presented in a slide format with accompanying audio. The module you select will open in a new tab/window and begin playing. You can pause, play, rewind, or fast forward using the playbar controls located at the bottom of the screen. If you have any questions about the ICP, please contact tracey.west@unc.edu. You will need Adobe Flash Player in order to view these modules. We recommend that you use the following browsers: Internet Explorer 7.0 and above, Mozilla Firefox 4.0 and above, Google Chrome, or Safari 5.0 and above.